Jeet Kune Do: Ted Wong Lost Interview – 25th April 1999. Ted Wong Lost Interview – 25th April 1999. 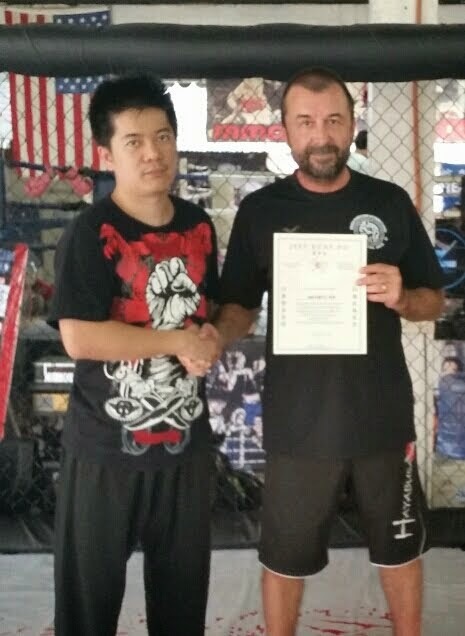 PB – Sifu Ted, thank you for taking the time to answer a few questions for us. PB – Growing up in Hong Kong you must have had some exposure visually to martial arts, if not hands on. TW – Not really actually, I think there was more going on in Mainland China. You know, back then in Hong Kong, it wasn’t like here. Here you can open the Yellow Pages and find lots of martial art schools; back then in Hong Kong you had to know somebody to train. So really my first exposure to martial arts was in 1962 in the United States. PB – For the benefit of those who don’t know, could you recap on how you first met Bruce Lee and what your first impression of him was. TW – Basically, I met him for the first time in 1967 when a friend told me he was teaching in Chinatown, I was too shy to introduce my self so a friend took me along. PB – Back then you were very shy? TW – Back then essentially my character was very shy, but Bruce helped me a lot with that. PB –Well we have seen some of your sense of humour this weekend! Many people have talked to you about your training with Bruce Lee. Have you also had the chance to train with any other students from the L.A. days, like Larry Hartsell, Dan Lee, Dan Inosanto or Richard Bustillo? TW – To be honest I haven’t had much of a chance, I pretty much worked on my own and taught just a few friends, it’s only recently that I have been in touch with my old friends from the Chinatown days. PB – What would you say was the core of what Bruce Lee taught you? TW - The basic core of Jeet Kune Do is an emphasis on simplicity. In the beginning we concentrated on a basic stance and footwork, basic tools like punches and kicks. It is essentially a work in progress one day you work on one thing then the next day you are trying to perfect another, not really trying to learn too many new things but rather a refining process. The learning process is really in three different stages, the first one learning the “form” and the right body mechanics, the second stage learning the coordination and balance, and the last stage is how to apply all this. However you are constantly going back and forth between the stages, there is always something new to learn about each stage later on in the learning process. This is basically the process that Bruce taught me with. PB – It appears that most of what you did with Bruce Lee was in an “empty hand” format, did you ever get the chance to work with him with any weapons, particularly knife work? 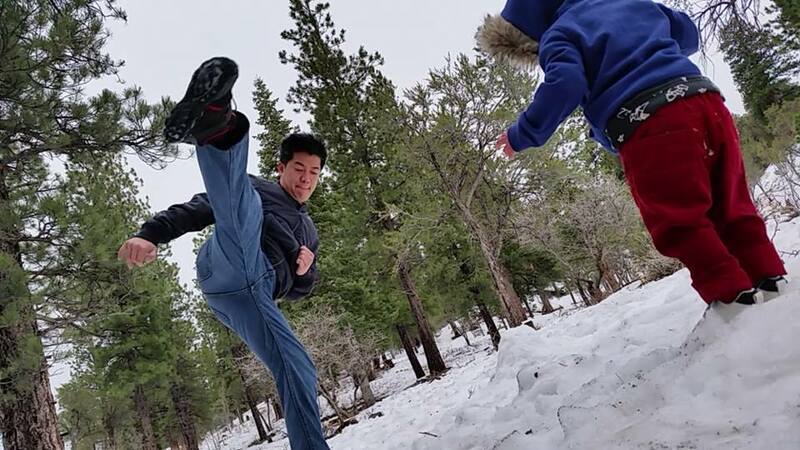 TW – No, Jeet Kune Do is essentially an empty hand approach, occasionally Bruce and I would pick up a knife for the fun of it, but it’s not really emphasized in Jeet Kune Do. PB- how do you think Bruce Lee most helped you to develop as a martial artist, what was the most helpful thing he gave you? TW – The most helpful wasn’t really just learning punching or kicking, or to be a tough guy who thinks he knows how to fight. You know, that’s really not what is important, the reason I learnt martial arts is not really for fighting I did it because the study of martial arts is acquiring a skill, it’s challenging. Actually I started martial arts very late with no previous experience and that’s even worse. PB – How old were you? TW – I was twenty-nine. 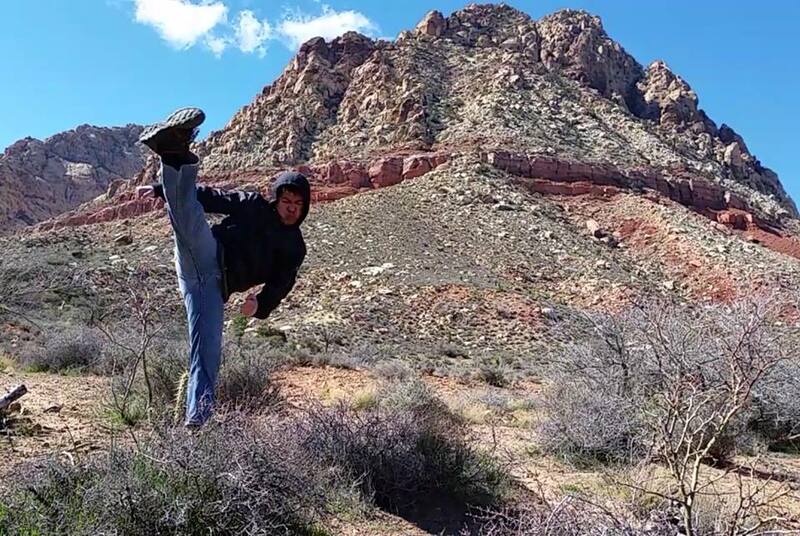 So for me, martial arts was an opportunity to overcome obstacles both mentally and physically, to improve my body, be flexible and to gain courage. Again, I was really shy in nature, he (Bruce Lee) really changed my attitude, and he really gave me a lot of encouragement. What Bruce Lee gave me helped me function a lot better as a human being, gave me self-confidence and self-sufficiency, but I didn’t realise that until many years later. PB – You often stress footwork and mobility in your teaching, this is presumably a large part of what you learnt from Bruce Lee? TW – Yes, he always emphasised footwork, I never really understood why at the time, but footwork and mobility is really one of the cornerstones of JKD. PB – When you first started training with Bruce there was a period of time when you were training with the other students in Chinatown. Although most people feel you were fortunate to have no previous martial arts training, did you feel intimidated by the experience of some of Bruce’s other students? TW – Oh yes I did feel quite intimidated, go to class everyday and I was probably the worst in the class. But one thing about Bruce was that he would look at each student as an individual and wouldn’t treat everybody the same. If this guy is kind of clumsy, doesn’t have the potential that other students may have, this didn’t matter so much, your character was more important to him. If you tried hard he would make more time for you. PB – With regard to the recent book, “Wing Chun and Jeet Kune Do a Comparison”, which you wrote with William Cheung, who had the idea for the book? TW – It was William Cheung’s idea, back in 1989, his editor phoned me out of the blue and asked me to do the book with William. The main reason for choosing me as the JKD part of the book was because I trained with Bruce at the later part of his training. At the time I really didn’t know what to say, so I asked them to give me a little time to think about it. Later they phoned me again and said William Cheung is in town would you like to meet him? So I met him, he seemed like a really nice guy, I really liked him, we talked about the book and I decided to go ahead and do it. 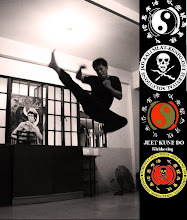 I think Jeet Kune Do is very misunderstood by most Wing Chun people, so it was a very good chance to show both sides a little of the others art. So in all I’m pretty happy about the end product. PB – During the course of the seminar I have to say I’ve been very impressed with your fitness and fluidity of technique and skill in mobility. It must be hard over the years to keep motivated to maintain those standards. TW – Actually it wasn’t hard at all, even though Bruce passed away so long ago, just thinking about him helped to motivate me. My training is really a daily ritual. PB – What kind of training schedule do you currently work out to? TW – I try and do something every day, reading, making notes like Bruce did about any new discoveries I make, conditioning, I do more conditioning than I do technique work now. 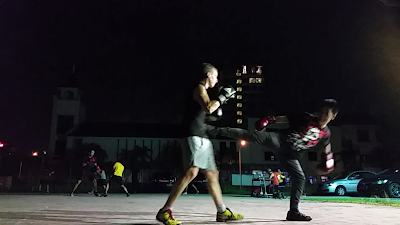 Over the years you are getting older, but I’ve been punching and kicking for so long that remains fairly constant, so I try to work more on my fitness and conditioning a little more in recent years. More like physical maintenance. PB – As the only student who trained with Bruce with no previous martial arts background, what advice do you have for beginning students with no previous training? TW – Be patient, don’t give up, I know Jeet Kune Do is not easy. Simple doesn’t mean easy, in the beginning it is very complicated. PB – By simple, you mean refined? TW – Right, right! True refinement means simplicity. PB – Over your years of teaching what do you think is the most satisfying thing you get out of teaching? TW – Being able to share my knowledge and being able to see the student progress. My mission or purpose if you like is to preserve and perpetuate Bruce’s art. It doesn’t stop here there is the second and third generation. PB – What would you like to see in the future for Jun Fan Jeet Kune Do? TW – Right now it is really in the stage of infancy, really I want to expose Bruce’s art accurately to more people, let them know about us and what we are trying to achieve. I believe the future is very bright for us as we continue to take it one step at a time. PB – Thank you very much for taking the time to answer our questions. TW – It is my pleasure and an honour to be a part of all this.